The ECOmove Qwheel is powerful and compact. 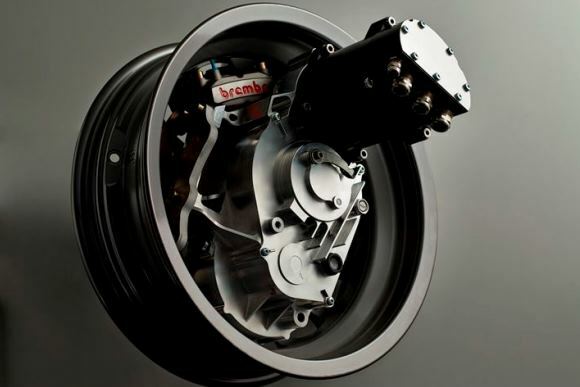 Based on a compact PMAC traction motor the full power-train is located within the wheel. 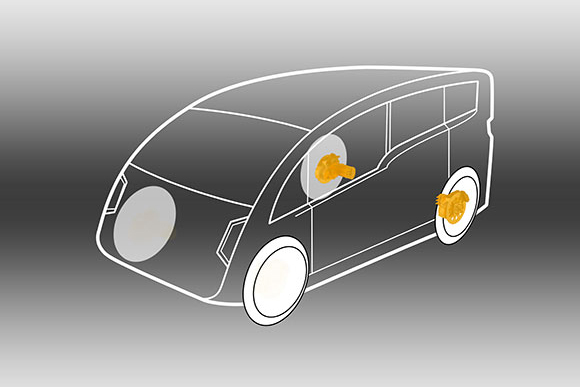 With this system every car builder can design BEVs and HEVs with freedom and few limitations. A real space and weight saver for electric vehicles and an ideal solution for optimal weight distribution. All-in-one: Traction, braking (disc+caliber, hand-brake and regenerative braking) and steering is included – or not; choose what you require. 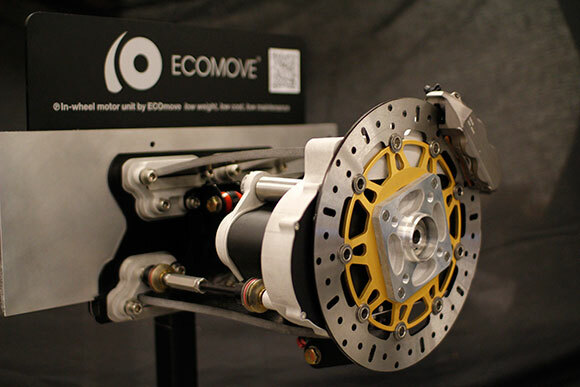 The architecture of the ECOmove Qwheel is open to various requirements for torque, acceleration, speed and wheelbase. This powertrain immediately support 2 and 4-wheel drive. 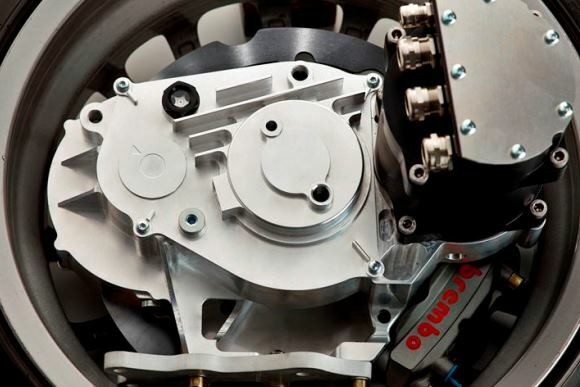 The un-sprung weight is low and best-in-class with excellent weight:power ratio. 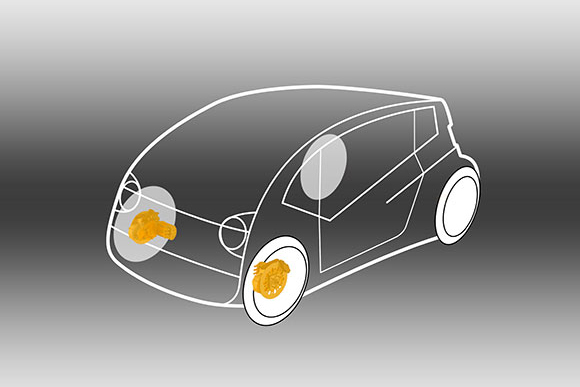 Flexible adaption plates does implementation in predesigned suspension systems possible. 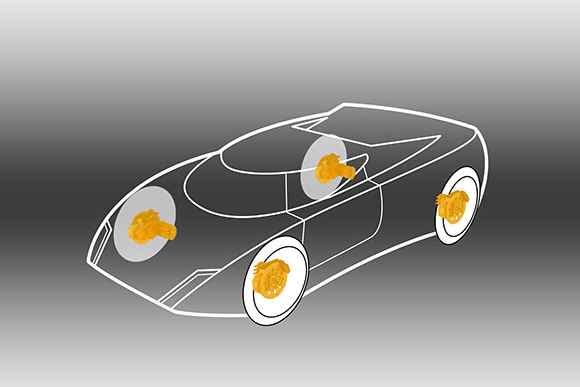 Modular design – customizable: Torque, power, braking (also re-generative) and steering. Low weight – 21 kg.